Upcoming seminars delivered at the Purbeck Sports Centre. 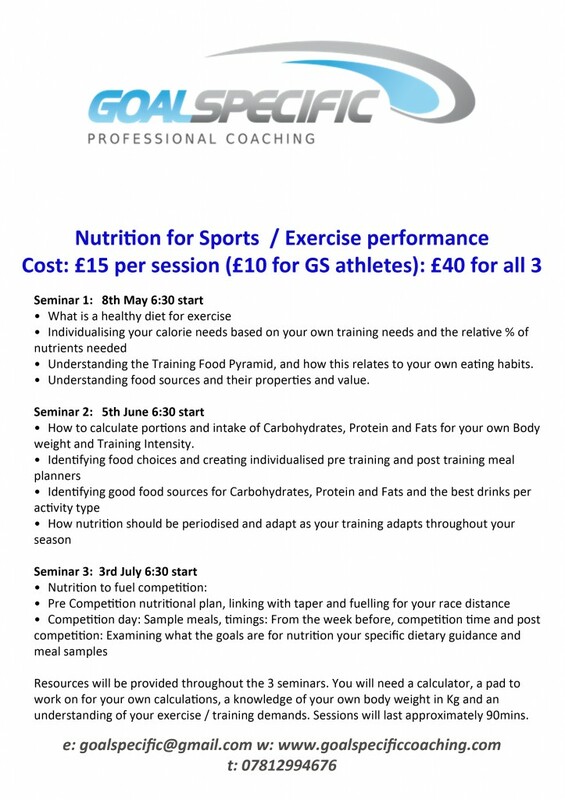 These seminars are delivered by Fran Bungay, Level 3 BTF Triathlon Coach, 3 times European Age Group Champion in triathlon and duathlon, World number 1 ranked athlete for Ironman 70.3 40-44 2015, Diploma in advanced nutrition for sports and exercise performance. To book a place at these seminars please email goalspecific@gmail.com places are limited.